It is shown that better approximations of tan(x) are obtained if the singular part is taken out, i.e. if we write tan(x) = S(x) + R(x) where S contains the singular part of tan in the sense that the rest R(x) is finite for x → one or several of the points ±π/2,±3π/2,... For example for S(x):= (π/2 - x)-1 + (π/2 + x)-1 we get tan(x) over the whole interval]-π/2,π/2 [as an easily computed part S(x) plus a rest R(x) which is finite (even C∞), has a rapidly converging power series (in contrast to tan itself), and with low-degree polynomial and rational approximations for any reasonable accuracy. Such approximations are discussed for 1, 2 and 4 singularities taken out. 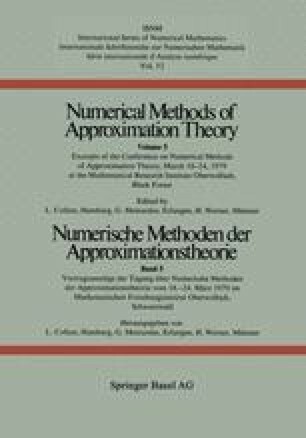 It is also shown that the usual minmax rational approximations over as short an interval as [0,π/4] “contains” both zeroes and singularities of tan — as many as the degrees of numerator and denominator polynomials allow, and with increasing accuracy as these degrees increase. The approximations are examples of a more general situation where a function f to be approximated is split in two parts f = fp + fa, with fp as a simple “preconditioning” part, which mainly serves to give the “accuracy” part fa certain desirable qualities.